1. 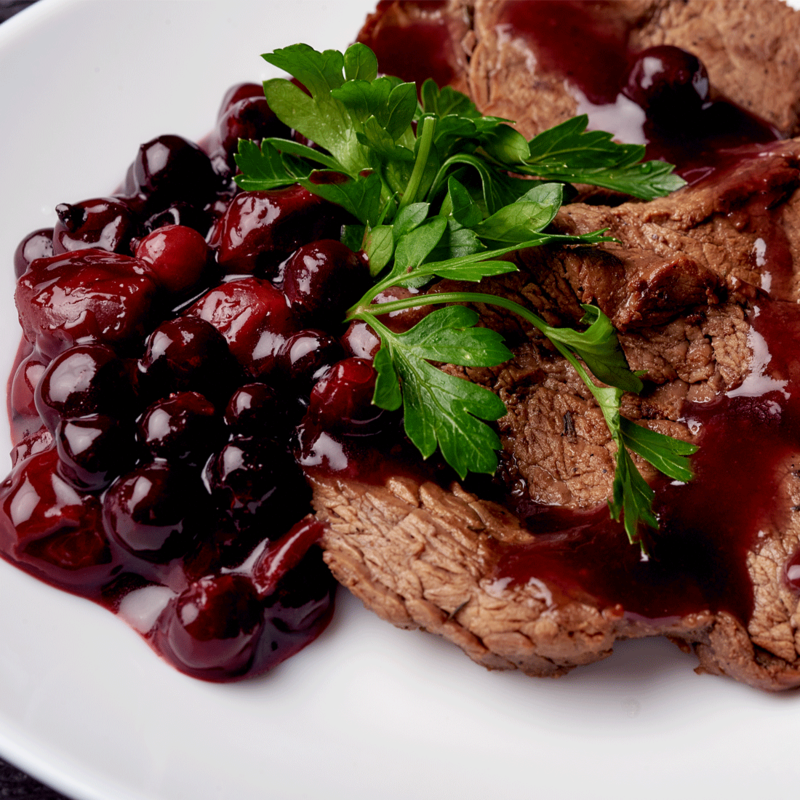 Heat the beef stock in a heavy pot, simmer and add the Al Rabie Mixed Berries Juice. Let it simmer and reduce until the sauce thickens. Add the fresh berries and set aside. Finally season with salt & pepper. 2. Meanwhile bring a pot with water to boil and add the potatoes until they are cooked. Take them out and mash them. Add slowly the cooking cream and season with nutmeg, salt and pepper. Set the puree aside and heat a pan with olive oil. Marinate the beef filets with salt, pepper and rosemary. Put them in the pan and fry from each side for 2 minutes. Finish the filets in a preheated oven for 8-10min. at 180 C. Arrange the mashed potatoes on a main course plate. Place the cooked beef filets on top. Put the berries sauce and garnish nicely with the fresh berries and the popcorn. • Make a Habit of eating fresh & delicious food.